If you are looking for a versatile SUV that is not only great for the whole family but also for long trips, then take a look at the 2016 Ford Explorer. This roomy vehicle is available right here at Woody Folsom Ford so head over today and take a test drive. Our Baxley, GA Ford dealership serves Savannah, Valdosta, Brunswick GA, and Jacksonville, FL and we are ready to offer you a great deal on Explorer. The SUV segment is one of the most popular, so let’s take a look at how the 2016 Explorer compares to the Dodge Durango. When purchasing a new car, it’s all about the value. Though you’ll notice that the Durango has a starting MSRP of $30,495 while the Explorer has a starting MSRP of $30,700, you’ll definitely want to spend the extra couple hundred dollars to go with a reliable Ford vehicle. The Explorer is a solid vehicle with the powerful engine options you are looking for in an SUV. You also can’t beat the style and versatility that the Explorer is well-known for. The Explorer has a solid warranty in place to give you the confidence you need to drive around on a daily basis. It comes with a basic 3-year/36,000-mile warranty, a 5-year/60,000-mile powertrain warranty. 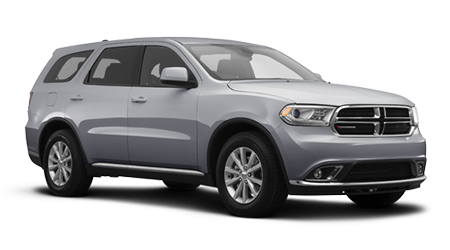 The Durango has a similar a warranty with a 3-year/36,000-mile basic warranty and a slightly longer 5-year/100,000-mile powertrain warranty. However, the Explorer also includes a 5-year/unlimited distance corrosion perforation warranty as well as 5-year/60,000 roadside assistance. Get your hands on a stylish and high performance 2016 Ford Explorer today. Our sales team at Woody Folsom Ford in Baxley, GA can answer any other comparison questions you may have and can even assist you with taking the Explorer for a test drive. 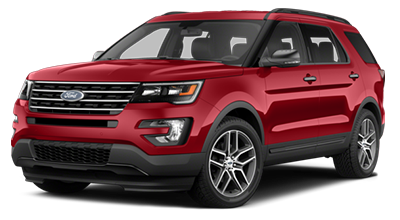 If you’re in the Savannah, Valdosta, Brunswick, GA, or Jacksonville, FL areas, we can offer you a great deal on the Ford Explorer so don’t miss your chance!